Before we go to sleep at night, many of us reflect on what happened during the day and wish we could have gotten more things done, eaten better, worked out, or asked our boss for a long overdue raise. Whatever you did (or didn’t do) during your day, make it a habit to reinforce the following positive mantras before bed so you go to sleep feeling satisfied and excited for tomorrow. No one can do everything perfectly; otherwise, you wouldn’t be human. Be proud of what you accomplished during your day, and know that you tried your hardest and put forth your best effort. Maybe others didn’t acknowledge your hard work, but at the end of the day, only your opinion of yourself matters anyway. Remind yourself that as a child of the universe, you deserve a fulfilling life overflowing with love and happiness. Even if the happenings of your day didn’t reflect this reality, say this mantra aloud or to yourself before bed each night, and you will slowly start to see more abundance flow into your life. All of us need a little boost in self-esteem every once in a while, and luckily, we can offer up a serving of self-assurance to ourselves any time we want! If you remind yourself of your own unlimited potential and implant this mantra into your consciousness, you will soon see the seeds of your thoughts bloom into action. If you got through your day with food, water, shelter, family, and some sunshine, you have more wealth than most people do today. While a lot of us get caught up in trying to “become somebody,” remember that you already ARE somebody, and you likely have many blessings that you may overlook day-to-day. Keep this thought in your mind so you can feel content with life as it is right now. Love yourself right now, no matter your job, location, weight, or accomplishments. You ARE worthy. Don’t forget to express gratitude not only for yourself, but for everyone else in your life who loves and supports you. Maybe you don’t always get along with your closest friends and loved ones, but at the end of the day, they will stand by you when you need someone the most. Resist the temptation to compare your own path to other’s personal voyages; you will likely only feel jealous or inferior as a result. Remember that you can’t possibly measure your own worth by someone else’s accomplishments or status, because you belong in your own category. The universe brought you here for a reason, and that reason may look completely different than someone else’s. Before you close your eyes at night, think about all the positive aspects about the people in your life and your current environment. By doing this, you will remind yourself that you originate from the same place as everyone else, and therefore feel more connected and comforted throughout the day. Remember to also honor your own exquisiteness, because this largely determines how you perceive the reality around you. Whatever is happening in your life right now serves to expand your consciousness in one way or another. Whether you have just ended a tumultuous relationship or moved to a new, beautiful country, both will further illuminate your own unique path. Everything happens for a reason, so embrace the lessons and remember to relax and let the universe guide you. The first step to becoming healthier is imagining yourself as already healthy. If you can picture what you would look and feel like as a thriving, fit, strong person, you will enable yourself to attain this reality. Use the Law of Attraction to your advantage and consistently reinforce thoughts about what you do want rather than what you don’t want. 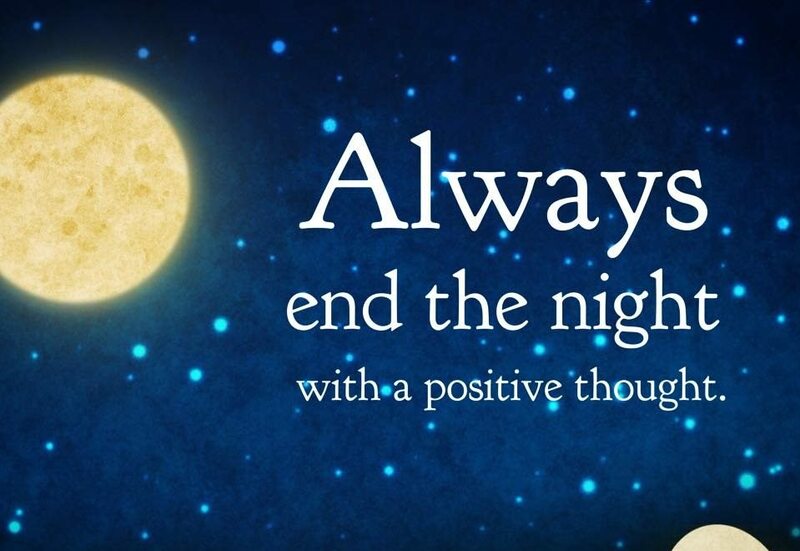 As you drift off to sleep, gently expel negative thoughts from your mind that only bring you down; doing this over and over again each night will set the stage for a better sleep and a more positive outlook as you wake up in the morning. We can easily forget that we are the conductors of our own lives – we direct the flow of energy in our lives based on our own thoughts. If you have felt out of control in your life lately, say this mantra to reassure yourself about your own inner power to create the reality you desire. Don’t allow self-defeating thoughts to determine your outlook about yourself; instead, reinforce your self-worth with positive thoughts such as this one. Recognize your own value, and never forget that you can accomplish anything you want in life. It all begins with having faith in your own abilities and putting in effort to do things that get you closer to yourself, not farther away. Even if you had a chaotic day, go within to find the stillness that always exists, even if you don’t always acknowledge it. Nothing outside of yourself can bring true peace, so rely on yourself any time you feel frazzled. Breathe in deeply, and welcome a good night’s sleep knowing all is well. Do you use self-esteem mantras before bed? Share your own in the discussion below!